Determining how much to spend on a wedding gift without breaking any wedding gift etiquette is a sensitive affair. The average wedding gift amount 2018 guests spent on gifts was about $151, but there is a spike currently. This is owing to the many pre-wedding festivities, associated expenses and a long list of wedding gift ideas. 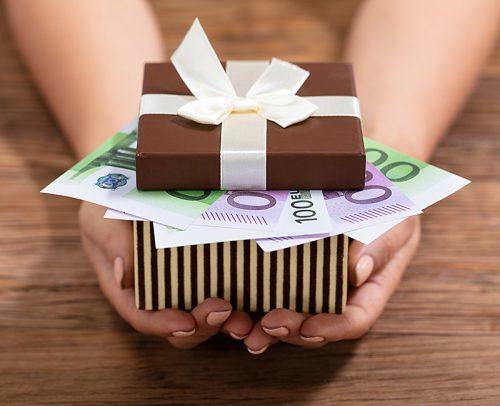 Here, we will tell you the average wedding gift cost, gift etiquette and how much to spend on gifts per wedding situation. Follow this post to also know the time frame for giving wedding gifts after the wedding and more from experts! How Much To Spend On A Wedding Gift If I Am Not Attending? Can We Give A Group Wedding Gift? If I Have A Plus One: How Much Should A Couple Spend On A Wedding Gift? How Much To Spend On A Wedding Gift If I Am Invited To A Luxury Wedding? How Much To Give For A Wedding If There’s An Engagement Party Too? Can I Give Wedding Gifts That Aren’t On The Registry? Can I Give Cash As A Wedding Gift? Wedding Gift Check Etiquette: How To Send? How Long Do I Really Have To Give A Gift After The Wedding? In the words of wedding etiquette expert, Diane Gottsman, wedding gifts are neither mandatory nor costs set in stone, but a show of support to the couple. She opines that how much you spend on a wedding should depend mainly on your budget and relationships with the couple. 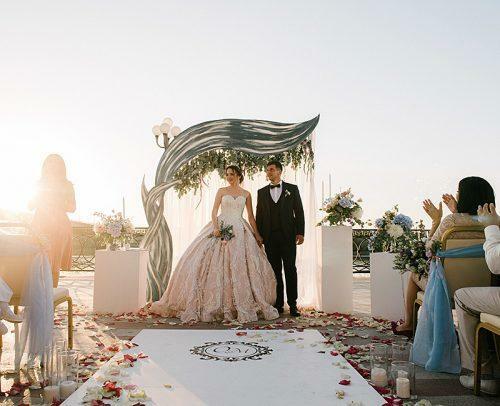 Other factors to note are how much of the wedding expenses are covered by the couple and your role in the wedding. As such, research by NerdWallet shows that the average gift amount is about $151 and guests are willing to spend up to $350 per situation. This may see wedding gifts amount in 2019 rise. From buying of bridal shower gifts to wedding proper, people are willing to spend more. The RetailMeNot poll shows that an American will spend an average of $140 on wedding gifts. 41% believe that gifts are mandatory for weddings. 37% believe that even if you got them something before the wedding, say bachelor party gifts, you should still get them a wedding gift. Now, for every amount featured, you are to double if you have extras tagging along (this is very optional). Again, these amounts are only calculated per adult head, no kids. A destination wedding is not a cheap one, so, much is not expected on the part of gifts. We believe that the best gifts the couple can get are the presence of the guests because they made huge sacrifices. After heavy travel logistics and some cash to get by, gifts are not necessary. But if you feel up to it, go right ahead! What to give for a wedding gift if not attending depends on your relationship with the couple. How much to give for a wedding gift is dependent on your financial disposition per time. If you have a personal relationship with the couple and can’t make it, send a healthy gift. If you feel you were a last minute guest consideration to a couple you aren’t close to, send a handwritten congratulations. This may be through the RSVP. You are also saved from spending as much as you would have spent if present. A gift between $30 – $40 will do. It depends on how much of the wedding expense the couple covered. Another factor is if you are buying individually or as a bridal party group. If the couple covered the cost of your wears and accommodation, a gift starting at $125 and above is perfect. You will get very impressive gifts from that price up and shows gratitude to the couple. If you are buying as a group, $100 combined by each of you will get a really pricey gift. One that will get noticed. A group wedding gift is ideal if all the ideas for wedding registry the couple comes up with is bigger than your budget. You may also have your eyes on something specifically pricey for the couple but are not buoyant enough. This is where you join forces with either close friends or family. It is even better if you are part of the bridal party. You will present something huge as a group. This is a means to get more and save more. Buying a wedding gift as a group saves you from spending as much if you bought independently. You are not under oath to bear any extra gifts if you attend a wedding with a date or group of friends. But if you have a close relationship with the couple, you are morally bound to come with a gift double the cost or a bit over one adult head. This is to show support to the couple and pay for the extra plate of food. As such, really close friends with a plus one should spend about $180 – $250. For others $80 – $160 is fine. What to give as a wedding gift or how much to spend should not be decided by the class of the wedding. The amount of money you will spend for a gift on a wedding at the park is the same amount you spend on a grand castle wedding. Do not turn down invites or feel pressured by an exotic ambiance, the pedigree of the couple or 5-course meals. Avoid straining your budget to buy a befitting gift. Your wedding gift cost is absolute by your relationship with the couple. They chose to have a luxury wedding and that’s not your problem. How much to give for a wedding is synonymous to your availability for the wedding. It is well advised that you split your budget for the wedding gift into 25% / 75%. 25% on engagement gifts and the remaining 75% on gifts for the main wedding. Something like wine, a box of chocolates or a box of cupcakes will do. If you will not be available for the main wedding and the couple means a lot to you, follow Diane Gottsman’s principle. Browse through their engagement gift ideas and pick something that’s equivalent to the amount you would spend on a wedding gift. About to Wed couples come up with wedding registry ideas that suits their needs, fit their lifestyle and are valuable to them. As such, if they are out of your budget range, you can get them wedding gifts, not on the registry. But whatever you get for them should align with their ideas, so that the couple will be able to use the gift. Yes, you can! The world is dynamic, so are people. A lot of couples live together these days before marriage and have their houses well stocked. Others want to bag pack and travel the world, so they don’t need gifts. Some couples do not even create a registry but make available cash payment methods. So yes, you can pay cash and it is very convenient. Best is if you’re paying directly into an account or towards a cause like honeymoon packages. Do well to send it in before the wedding. How to appropriately send a wedding gift in form of a check is by addressing it to either the husband or wife. This will enable them to cash it, instead of getting a bounce at the bank due to a conflict in account details. If you have the urge to add a complimentary message, pen it down in the part of the check allocated to comments. It is very wrong to address a joint check to newlyweds using their new surname. That is an assumption on your part as you don’t know if they will retain their individual names. The honest fact is that the earlier you can send a new couple your gift, the better. It is more interesting opening gifts while the wedding glow and rush is still present. But do not put yourself under any kind of pressure. If you are not financially or emotionally up to the task of getting a gift during the wedding, rest easy. You have up to one year after the wedding to send in your gifts. Do it at your own convenience and who knows? It may be a pleasant surprise to the couple. As much as the experts know, it will be nice to hear real people who have had actual experiences talk. Many of them consider the cost of gifts based on their closeness to the couple and some match whatever they were gifted at theirs. Others think the luxury of the wedding should count, while a few prefer donating cash or paying towards a cause. Miki, a 34-year old female who has helped plan weddings for lots of people is sympathetic to the plight of couples. She says wedding expenses are not cheap and everyone should give at least $100 for wedding gifts. Give from $200 above if you come with a plus one. She, on the other hand, says she has given up to $500 for her close friends. Jess who is 27 years old says that she will give more towards wedding gifts if the wedding is a luxurious one. “$200-$250. But in certain cases, depending on how long I’ve known the person and how many other weddings or big events I have that season, I will give more. I usually give on the higher end if it’s at a really swanky place, but in most cases, the parents are helping out, so I don’t feel as bad about not covering plates for me and my fiancé”. Meg, 31-years old is one who matches every gift she gets with an equal gift. She says she wrote on cards, how much each guest gifted her at her wedding and she gifts exactly that back to them. This way, she says the average they spend on wedding gifts is $50-$75 per person, which also depends on how posh the place is. Christina who is 28-years says that she would rather give cash or pay towards a cause/experience than buy a gift. She says it makes her feel better because cash experience will neither wear out like down comforters nor break like chinaware. She will give $50 – $100 in cash, towards a honeymoon trip or posh restaurant meals vouchers instead. All the rules on how much to spend on a wedding gift mentioned above are thoughts from experts. We have also put down valuable information which you can use through the narratives of real wedding guests. As such, you will be well informed through this post of every wedding gift etiquette to observe. From how much to spend on a gift per situation to how late your gifts can be delivered to the couple. This way, you will ease yourself of pressure, gift right, save more and maintain a healthy relationship with the happy couple!